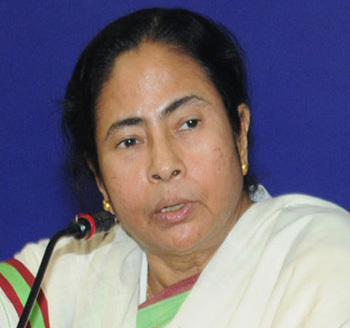 New Delhi, March 12 : An embarrassed West Bengal Chief Minister Mamata Banerjee said Wednesday that social activist Anna Hazare skipped her rally here because he was unwell. The much publicised joint rally of Hazare and the Trinamool chief ended with the former keeping away and organisers admitting that the crowd turnout was poor. "Anna is not keeping well. He has congestion...," a visibly disappointed Banerjee told the media later. Banerjee, who was the only speaker, appealed to the people to radically change the country's political system. "This sort of outlook is detrimental to the interests of the people and (affects) the democratic institutions."